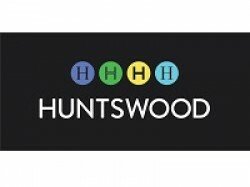 Huntswood is the UK’s leading specialist resourcing and consultancy firm focused on governance, risk and compliance in the areas of regulatory conduct and financial crime. Our ambition is to enhance the reputation of our clients with their customers, people and regulators. We do this by helping firms quickly and effectively react to regulatory issues, with high quality, swift intervention; develop and embed appropriate systems, controls and processes to ensure robust governance and oversight; and better manage ongoing regulation.